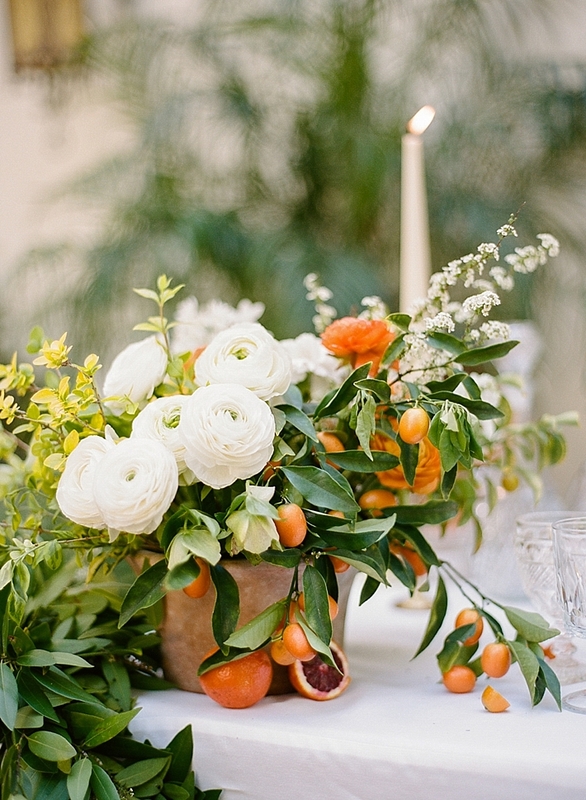 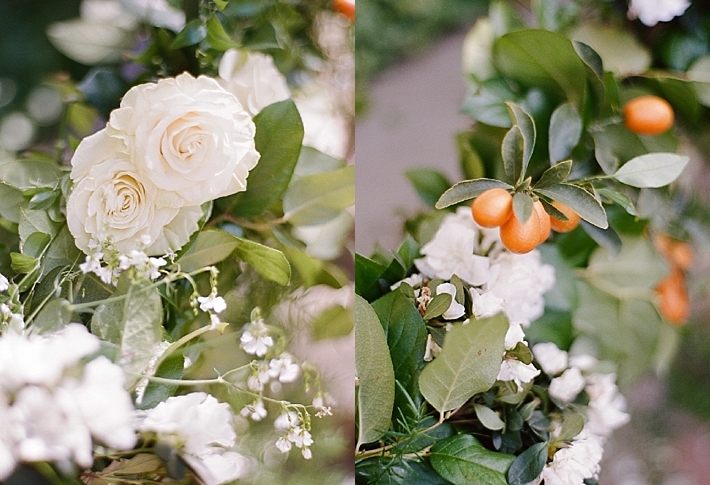 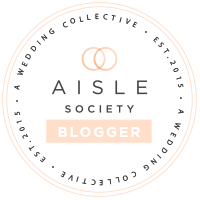 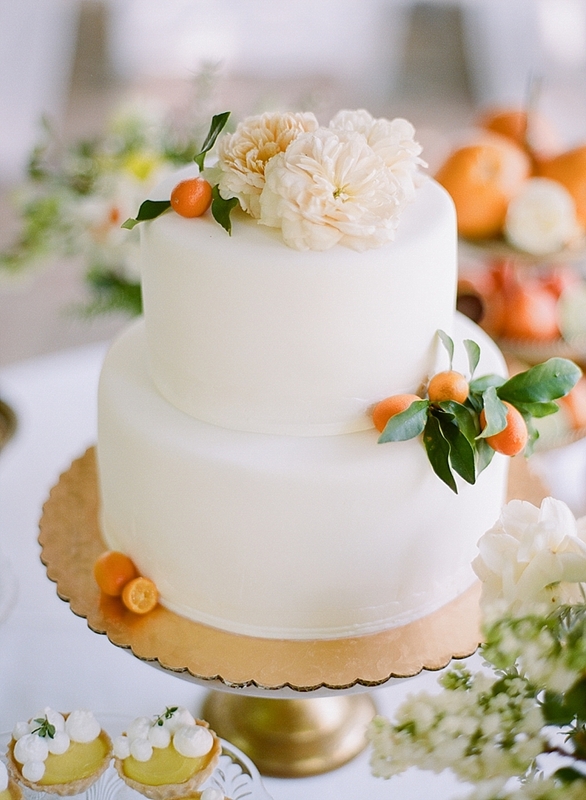 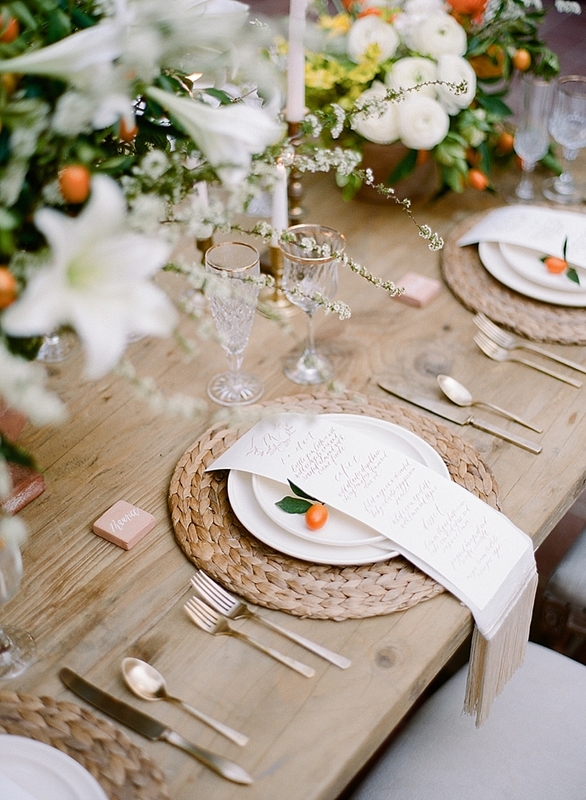 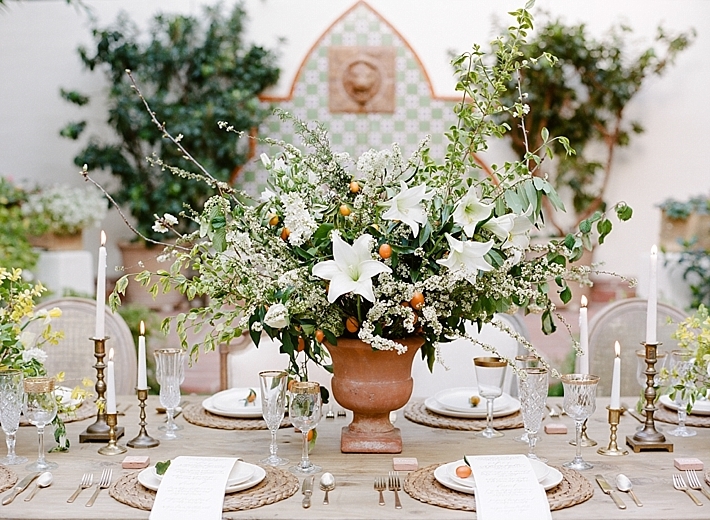 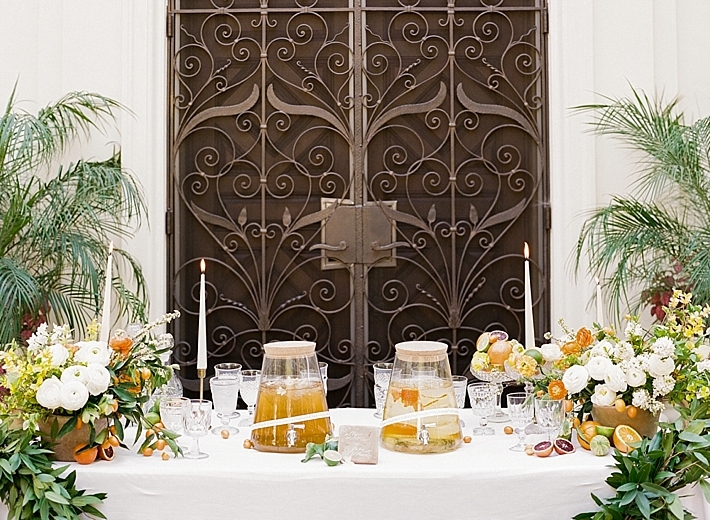 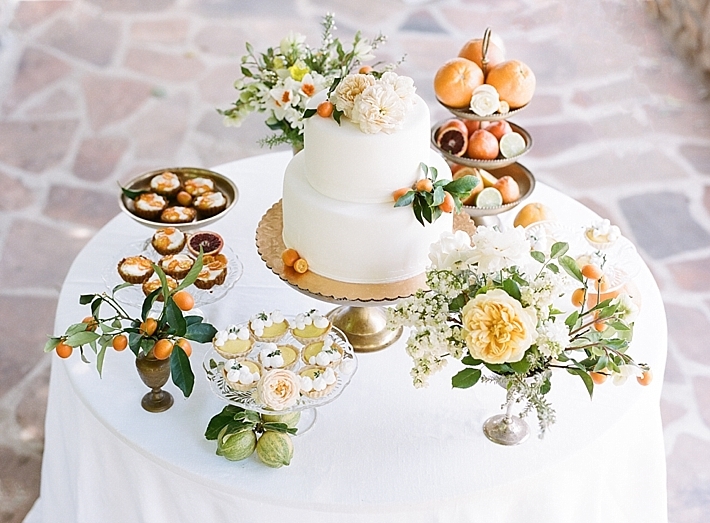 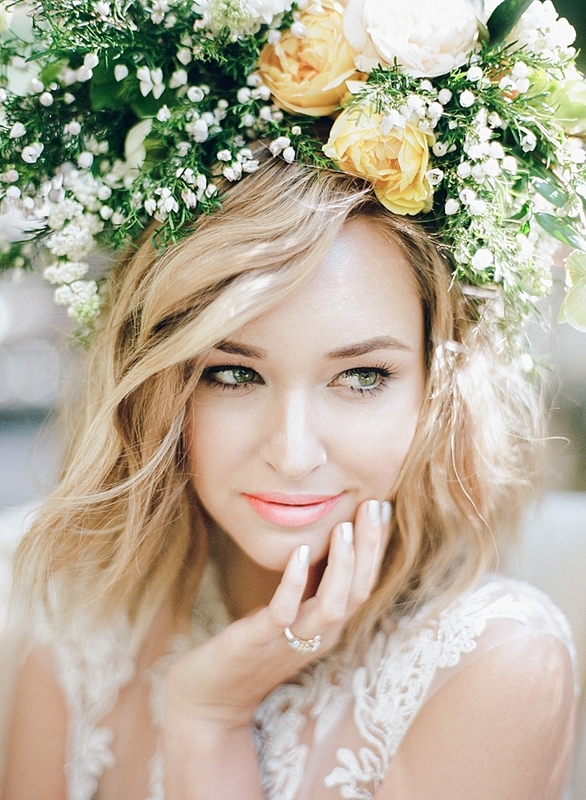 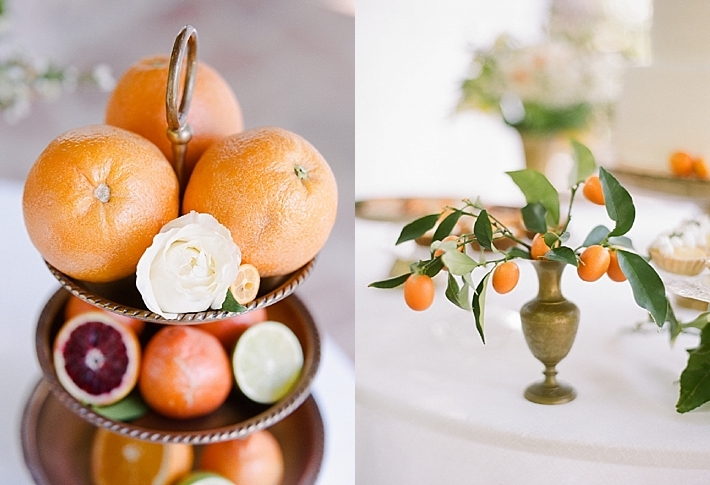 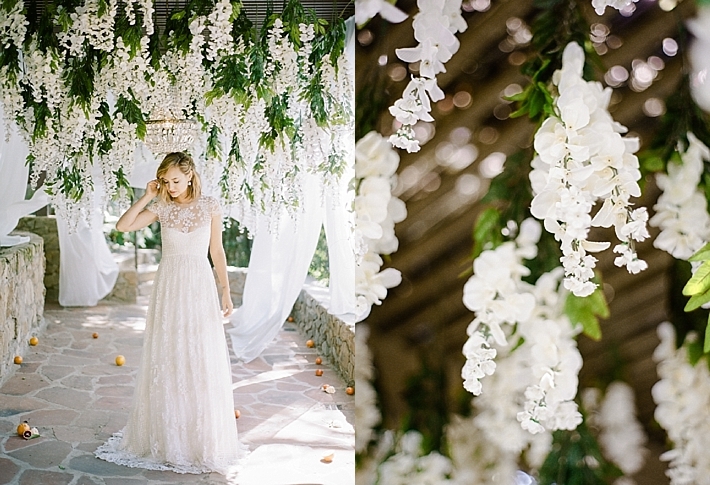 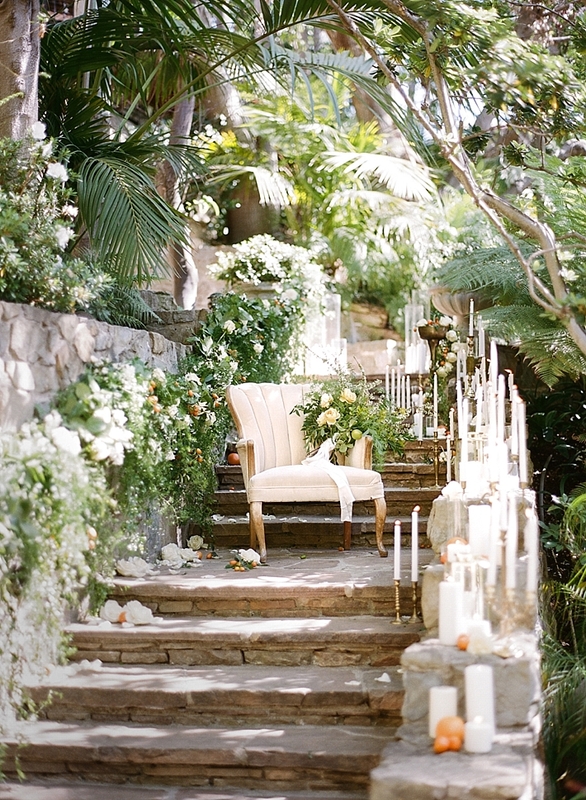 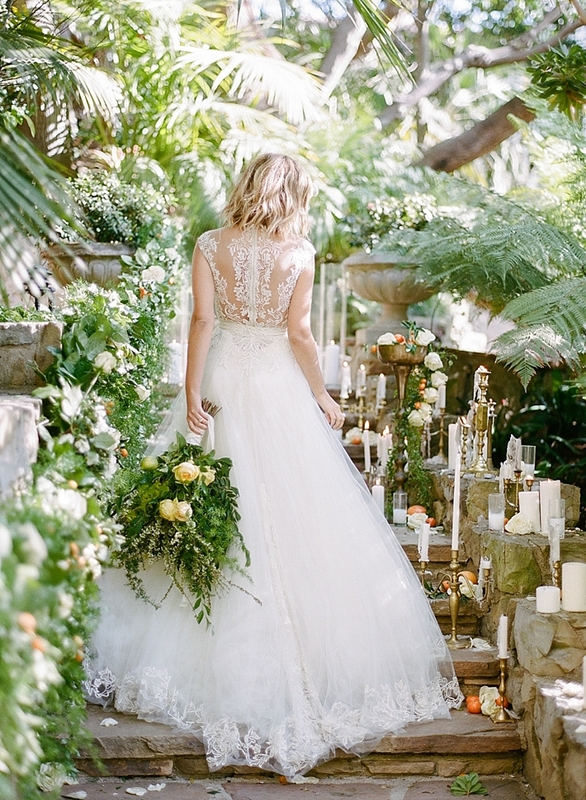 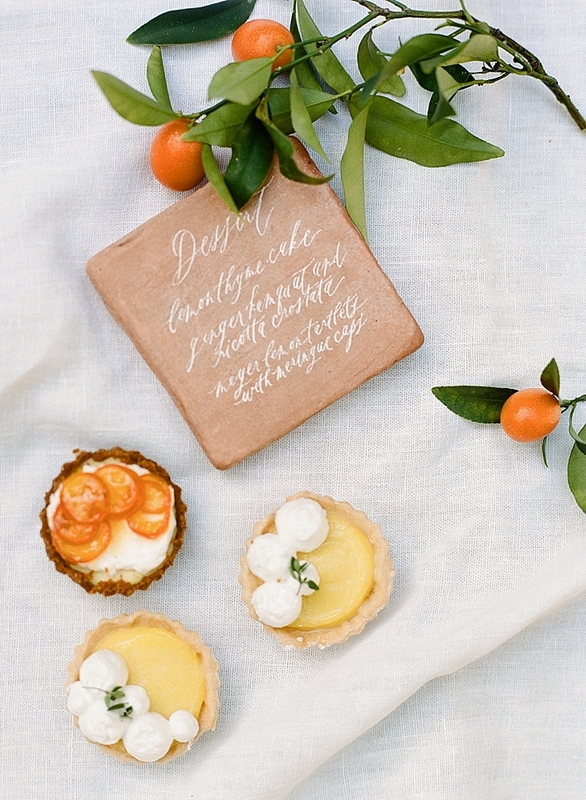 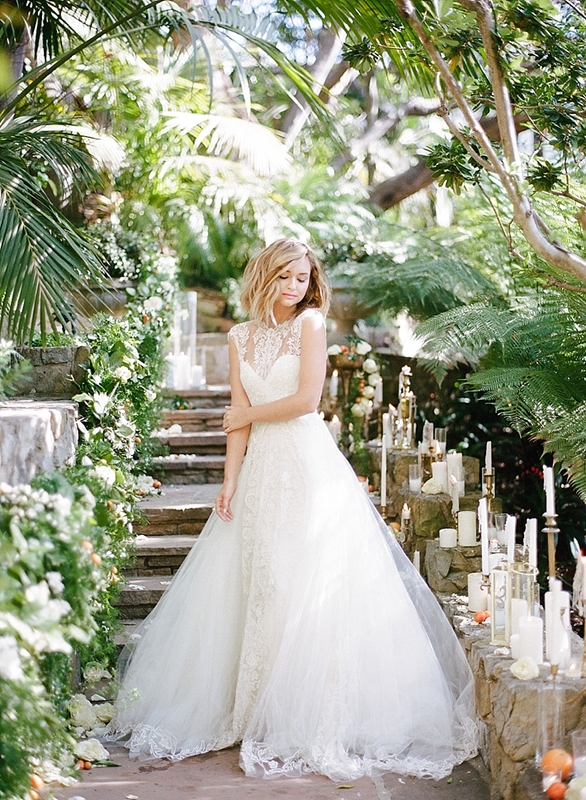 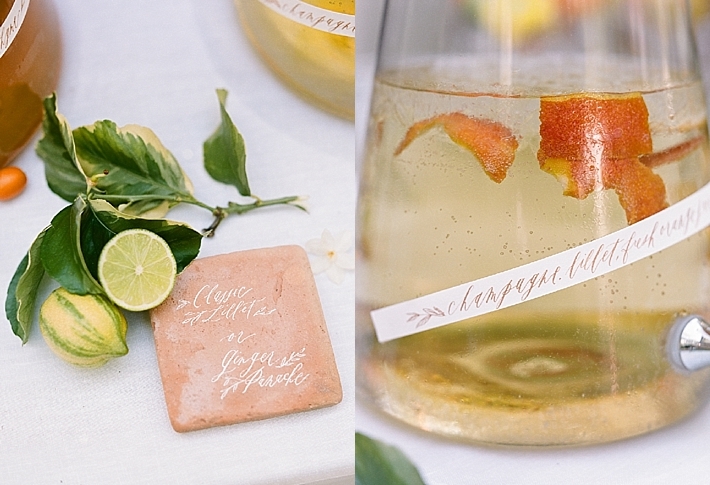 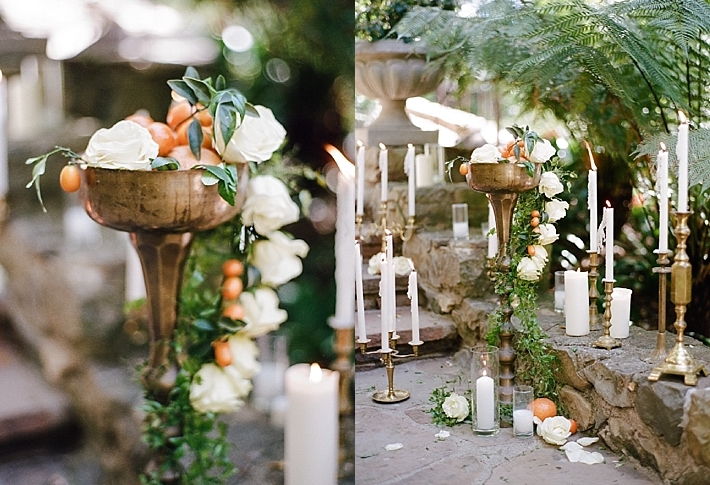 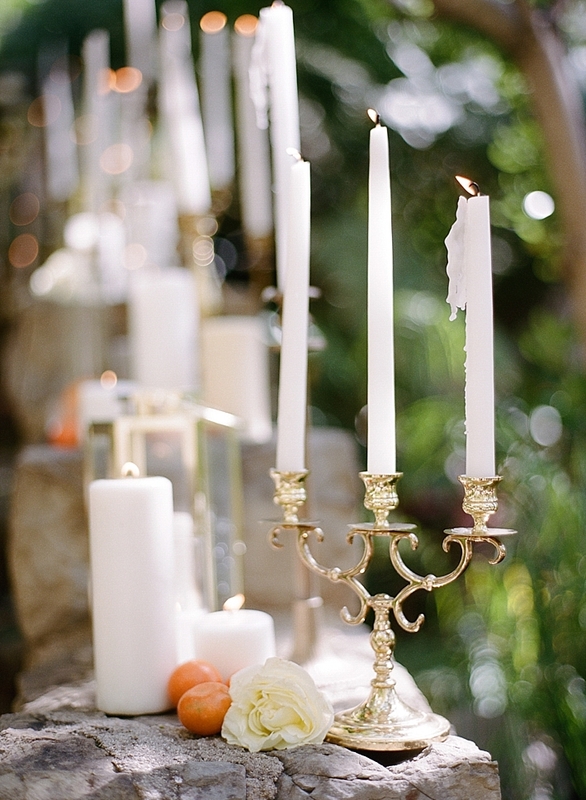 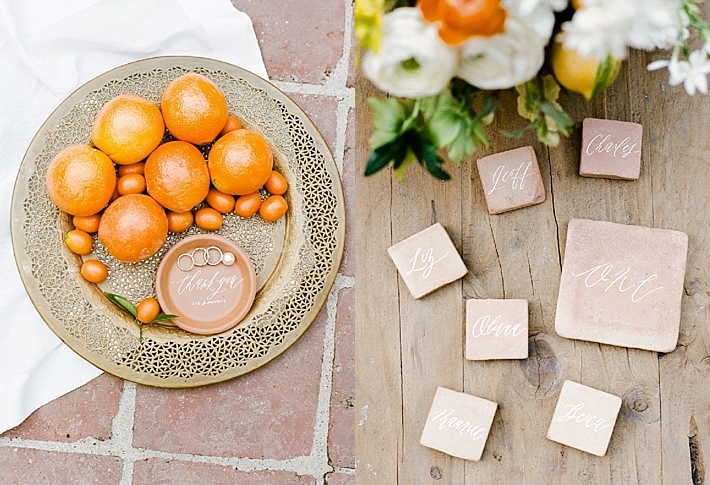 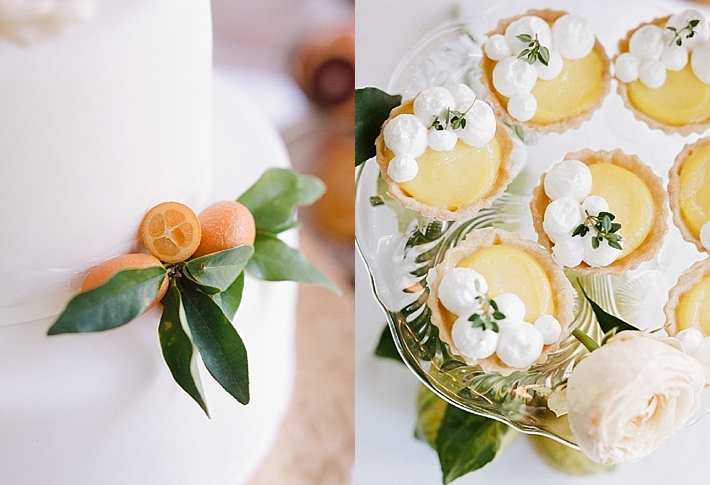 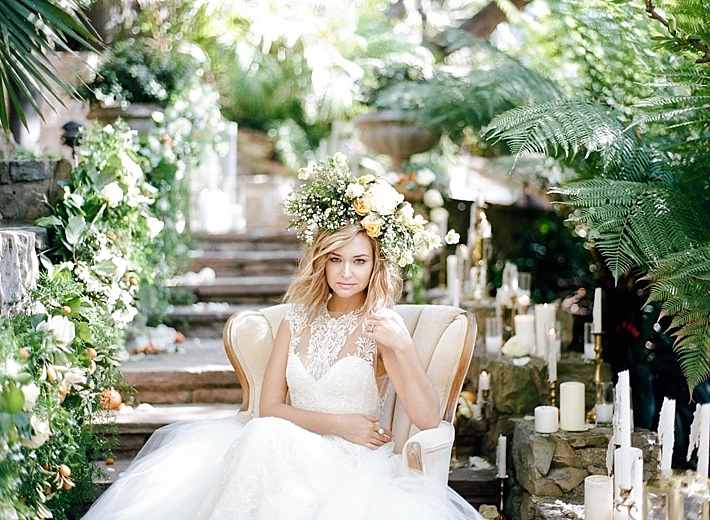 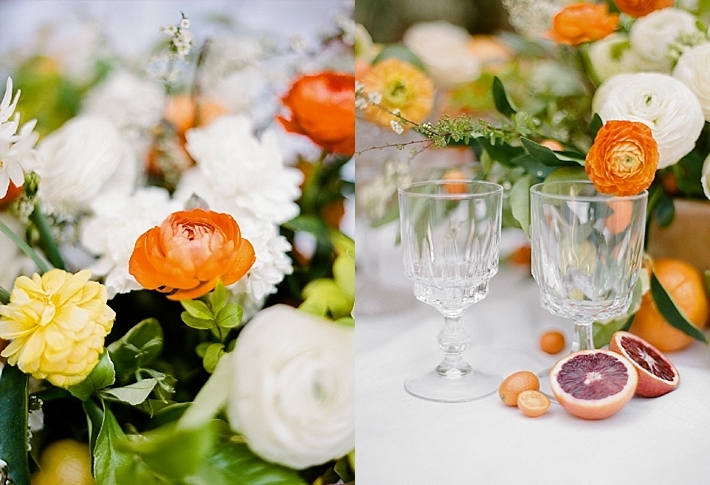 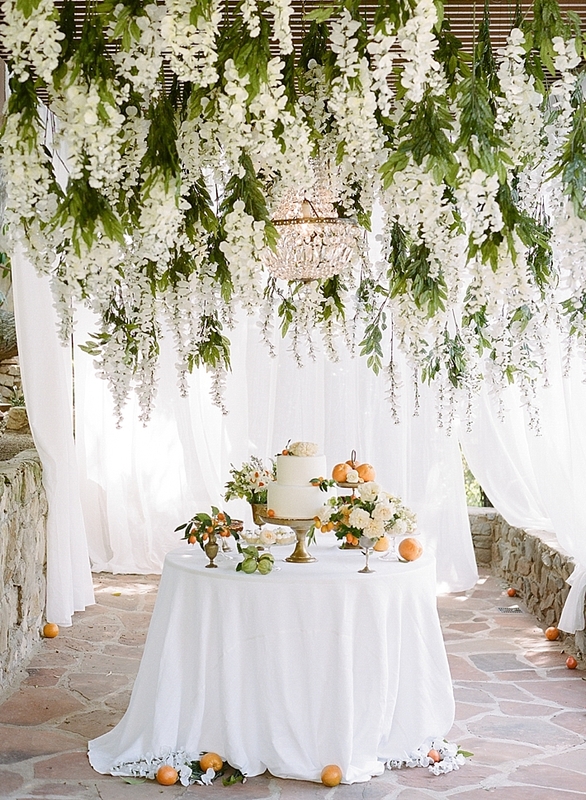 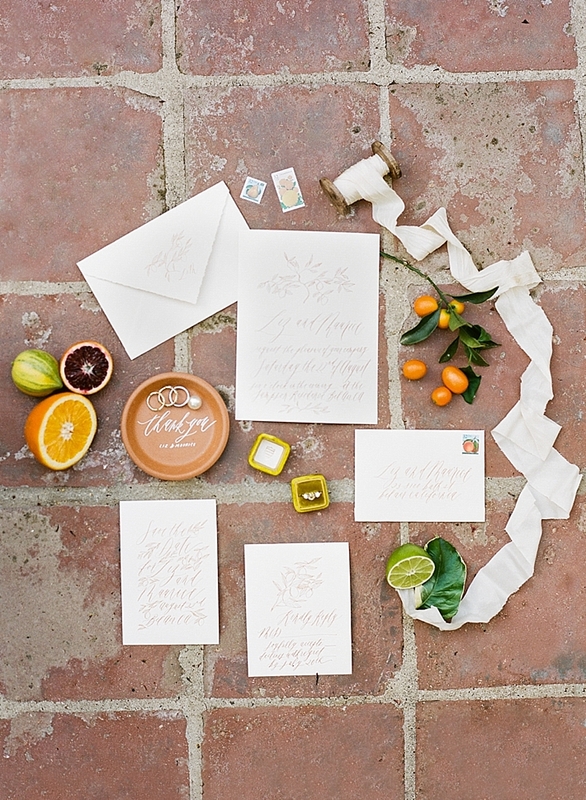 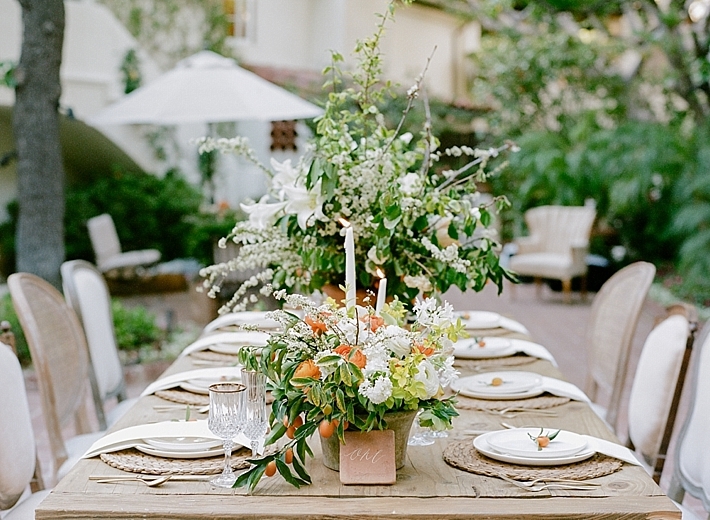 "Our initial inspiration for this shoot was derived from the beautiful vibrancy of California’s citrus season. 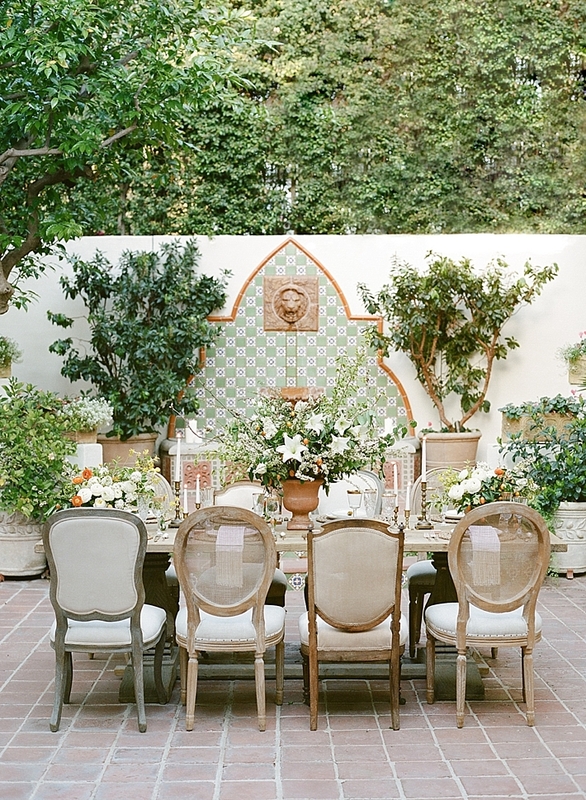 With an emphasis on citrus tones paired with lush greens and pops of white, the classic Mediterranean architecture of this stunning Bel Air residence was fused with more whimsical elements to cultivate a dream like quality. 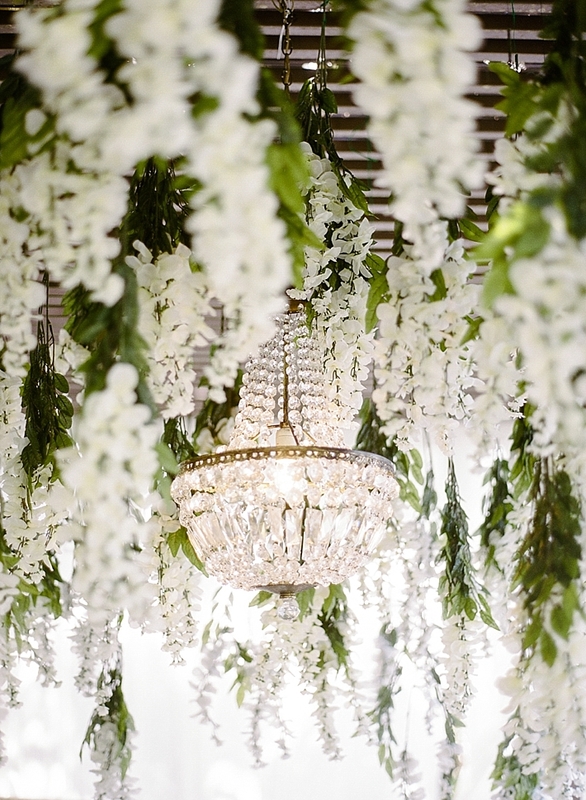 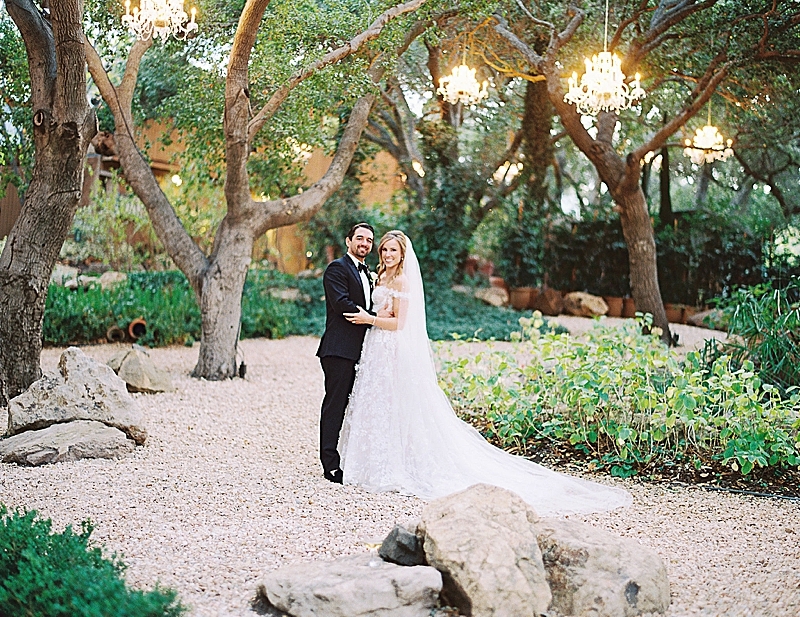 Breathtaking floral moments such as a garden of hanging wisteria by Celadon Celery, romantic floral arrangements by Emblem Flowers and an oversized floral headdress by Wild Vase helped each scene blend seamlessly into the already lush surrounding landscape. 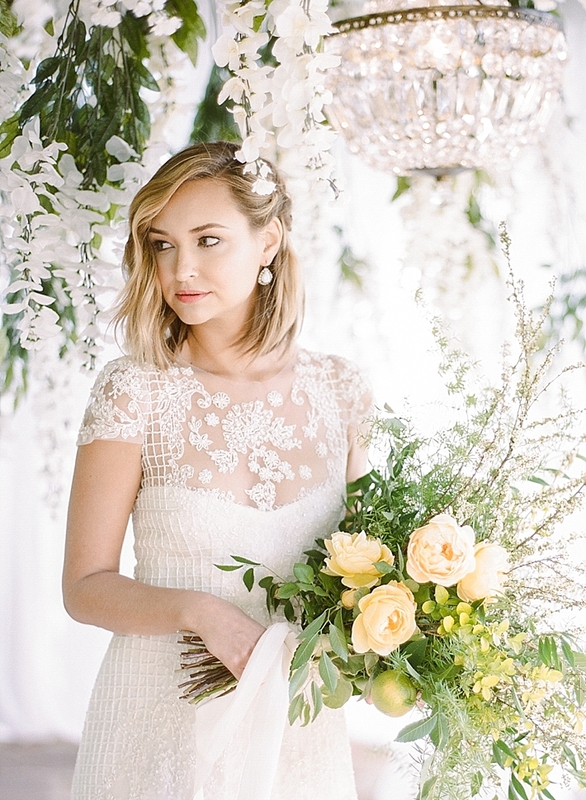 Beautiful fresh faced Los Angeles based blogger Liz Cherkasova of Late Afternoon looked both elegant and effortless in dresses from Monique Lhuillier paired beautifully with breathtaking gems by local jewelry designer Deanna Hamro. 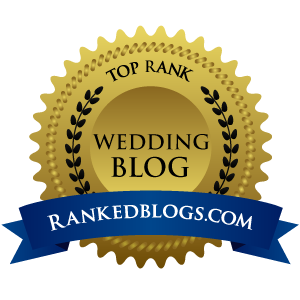 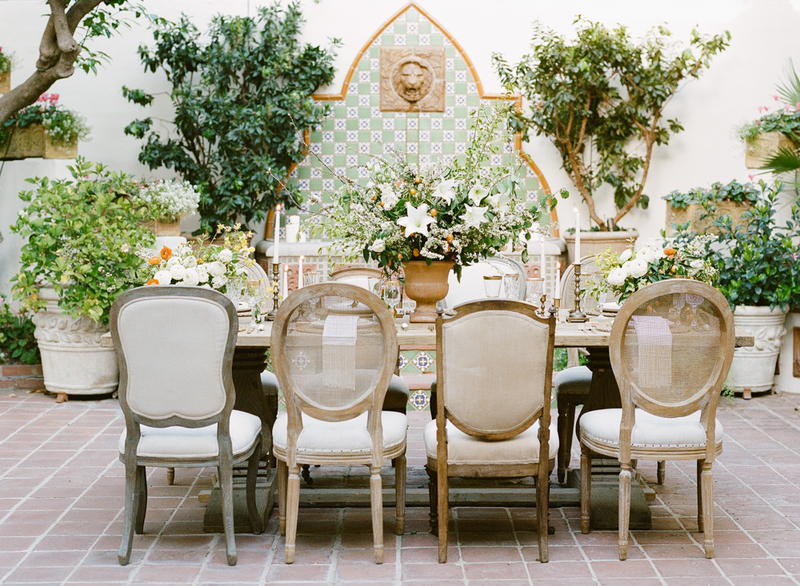 With an incredible team of creative vendors the shoot came together to strike a balance between that undefinable sense of California cool and elegant opulence."